First of all, disclaimer: I haven’t (yet) been everywhere in Iceland, but of the places I have been so far, the Westfjords are hands down my favorite. If you are planning a trip to Iceland and even considering adding the Westfjords to your itinerary, do not think twice, do not pass go or collect $200, just drive your rental car to the Westfjords. You will NOT be disappointed. A few weekends ago, our amazing friends were here visiting us from the States. 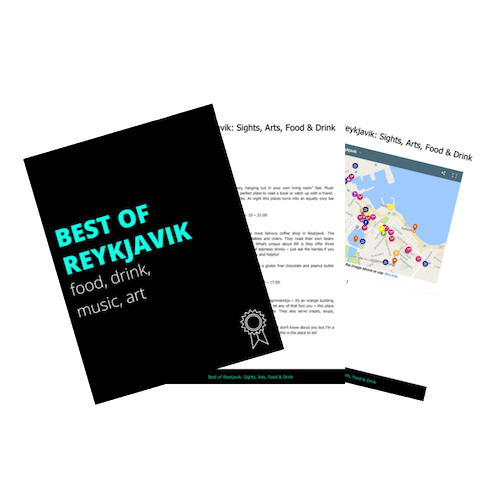 We decided we wanted to bring them somewhere we hadn’t been to yet, and since the Westfjords were on my 2016 travel list, it was the perfect weekend destination. Second note: one weekend is NOT enough time in the Westfjords. We left at 2pm on Friday and with the 6-hour drive to Ísafjörður, we really only had Saturday and half of Sunday to explore before we had to drive 6 hours back. If you really want to make the most of a trip, don’t be a crazy person like us and make it a long weekend at the very least. Lastly: I loved our Westfjord trip with my whole heart, but we went at a tough time of year. One of the roads we wanted to take was still closed due to snow, and many of the restaurants we heard about are only open seasonally. Check below for the best times to visit. OMG this place. An old fishing village located on a peninsula in the ocean wedged between two huge mountains in a fjord with bright multi-colored houses, I mean seriously. This is literally the waterfall of all waterfalls. This waterfall is so massive that you can see it from miles away on the drive in. If it seems big in the picture, it’s way bigger in real life. The closer you get to the falls, the more amazing it becomes. It was everything I wanted it to be and more! This was the best hot spring experience I’ve ever had in Iceland. This naturally heated pool is hidden from the road, tucked away in a secluded little spot by the sea. We were the only ones there, the water temperature was perfect, and the scenery was unbelievable. I know there are a lot of hot pots in the Westfjords, but I can highly recommend this one. If you have ever driven around Iceland you will notice there are SO many place to stop for a picnic! The Westfjords are no exception, and in my opinion, obviously have the best scenery for said picnic. Food + friends + laughter + scenery = the perfect day. Even though there was a LOT of driving involved on this trip I didn’t mind it one bit because the scenery was out of this world. Know that if you are planning to travel around in the Westfjords, be prepared for a lot of windshield time. Also, always keep your camera handy because you WILL want to stop for a lot of photo ops! Let me tell you, a) having visitors in your new country is the BEST and b) my friends are the best. Kelley and I were insta-friends when we met in Chiropractic school. We have so many memories together and as a fellow midwesterner who also loves the outdoors, we have a lot in common. It was amazing to travel around Iceland together – I don’t think I ever stopped laughing. I’ve seen some amazing sunsets in Iceland but this one has a special place in my heart. As we were driving back to Ísafjörður after a long day of exploring, the sunset was lighting up the sky and the mountains were big and beautiful. When we saw this small beach on the fjord we couldn’t pass it up. I think we all just stood there in awe of the amazing sight. The whole weekend Bobby kept talking about how he wanted to swim in the ocean and we all kept saying, “uh-huh, you’re crazy.” But on the drive back to Reykjavik, there was a small sandy beach that was the perfect swimming spot, so he and Derek jumped in! It was so funny to watch, I was cold sitting there wearing my down jacket! Since the one restaurant that everyone told us to try was closed for the season, we were happy to have this place as an alternative. I ordered the catch of the day which was presented in a cast iron skillet and was the most delicious tender flaky fish I’ve ever tasted. We found the most adorable place to stay that was perfect for the four of us. Located in the picturesque old town, this was a perfect base for the weekend. Comfortable sleeping, full kitchen where we cooked breakfast in the morning, and a great views of the mountains! I highly recommend this place! Here is the map of our journey. If I would have been smart we could have stayed in Ísafjörður for just the first night, and then further south the second night. But I wasn’t smart, and we drove all the way back to Ísafjörður for the second night. Be smarter than me. It takes foreverrr to drive short distances in the Westfjords because you have to cross mountain roads that are crazy steep and winding. This could be quite debatable – I would be willing to go there any time of the year because it is so incredibly beautiful! But if you want to take full advantage of everything being open and roads not being closed due to snowfall, I recommend mid-summer. I wouldn’t say that a 4wd is necessary, but it was so nice to have. There are some mountain passes that are craaaazy narrow and steep – and a lot of them are closed until April, depending on the amount of snowfall. I was never worried about our safety on the roads or getting stuck with our vehicle, and we drove through ALL kinds of conditions – wind, rain, sleet and snow. We saw camper vans driving the same roads and I’ve heard of small cars making the trip, so I know it’s possible, but pleeease be smart and drive very carefully! Bolafjall lookout – Bolungarvík // on a clear day you can see Greenland from the top! the road was closed because of snow. We talked to a local that told us the road is only open in July and August – you caaaan hike up to the top in the offseason, but plan on multiple hours trudging through snow and make sure you have the proper cold weather gear. Ósvör museum – Bolungarvík // really awesome replica of an old fishing outpost. We went to the town, but were too distraught that the lookout was closed, so we forgot all about it and left. Rauðisandur – red sand beach on the most southern part of the fjords. Látrabjarg – big rocky cliffs and a common place to see puffins. One thing is for sure: we WILL be making a return trip. There is much more to see and do, and a short weekend trip just wasn’t enough! Question: Will you be traveling to the Westfjords? Love the video and the detailed post. We will be in Iceland in a week for 7 nights and planning driving around the country. Would we have time to go there and would the road be ok the first week of April? Probably not, the Westfjords have very difficult roads and it takes a long time to drive around. I’d suggest sticking to the main road! I really must go here. After 6 visits, it would def be the perfect choice for next time, unfortunately I don’t know when that will be though 🙁 boo. but ive def been hearing a lot about it lately! Vimeo is telling me your video has been removed! Oh wow Danielle, 6 visits?! You are a lucky lady. You DEFINITELY need to get to the westfjords on your next trip, so beautiful and hardly anyone goes there! Apart from a week round the ring road back in 2007, it’s only been trips of a few days so I’ve been limited in how far I can venture (length of car hire is a barrier as solo traveller 🙁 ) I am moving over the next year so no trips for a while 🙁 but I think maybe this will be something different to try. Hopefully it won’t be busy by the time I get there! This is awesome! We are so excited to go in May. Question-what camera did you use to video this? Thanks! This looks amazing! I’d definitely want to build in a stop if/when I visit Iceland! Yes, the Westfjords will now be my number one recommendation! I loved the video- I think the Lumineers would love it too! You have given me so many great ideas for our trip in October. Keep on traveling, so I can live vicariously through you. Well, now I’m even more impatient for my trip. Haha, mission accomplished 🙂 So excited for you and your ambitious itinerary…You are going to LOVE Iceland! I LOOOOOOOOOVE your pictures and the video!! These shots are just amazing and make me want to stay in Iceland for a year to explore everything 😀 Keep up the good work!! Love the Westfjords. Spent a couple of days there in the Summer in 2014 and going again for 4 days in June! Praying for the weather to be as nice as it was for you. OH. MY. GAWD. 1) you should just call the Lumineers and let them know they’re music video is done for them. 2) wanderlust engaged. Such a cool post and the video was amazing. Keep up the amazing work j-dawg. Beautiful photos, it looks like such an amazing place. 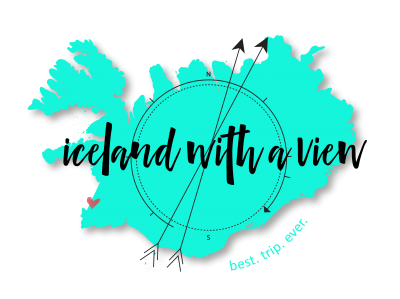 We’re visiting Iceland in December, so daren’t drive a rental car for the first time in the unpredictable Icelandic winter – but we really want to visit during the summer and explore everywhere. Thanks, Rosie! December is an awesome time to visit for it’s own reasons 🙂 I think it’s great to see Iceland in both extreme seasons. And I added the video to Vimeo which helped those outside of the U.S. play it. Oh, copyright laws! What a beautiful place! I need to visit! That picture with the waterfall, just gorgeous! Thanks! You, miss waterfall lover, will probably die when you see this one!